Holy Cross is a Catholic parish located in DeWitt, NY since 1943. We are a community from many backgrounds and places but come together to worship God, experience His grace, care for one another, learn from one another, and serve our neighbors near and far. Holy Cross is part of the Roman Catholic Diocese of Syracuse. We invite you to learn more about our story and hope to become entwined with yours. The parish began as a mission of Our Lady of Solace, in 1943. 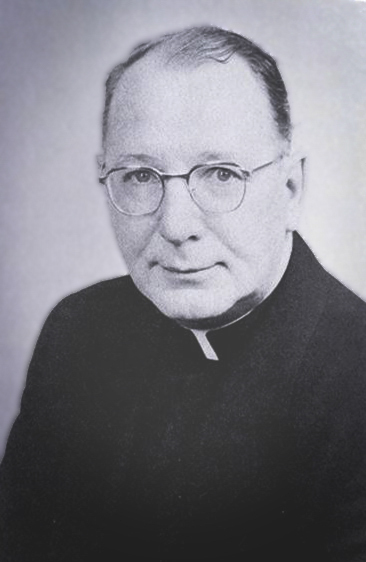 The mission was founded by then pastor of the parish, Monsignor Edward P. Buttimer. A small house at 4112 East Genesee Street was purchased on October 30, 1942. It became home to the mission church and catechetical center. The first mass was said on Pentecost Sunday, June 13, 1943. In May 1944, the property between the house and St. Mary’s Cemetery was purchased from Dr. G. Leslie and Miss H. Leslie with the intention of building a church on the site. 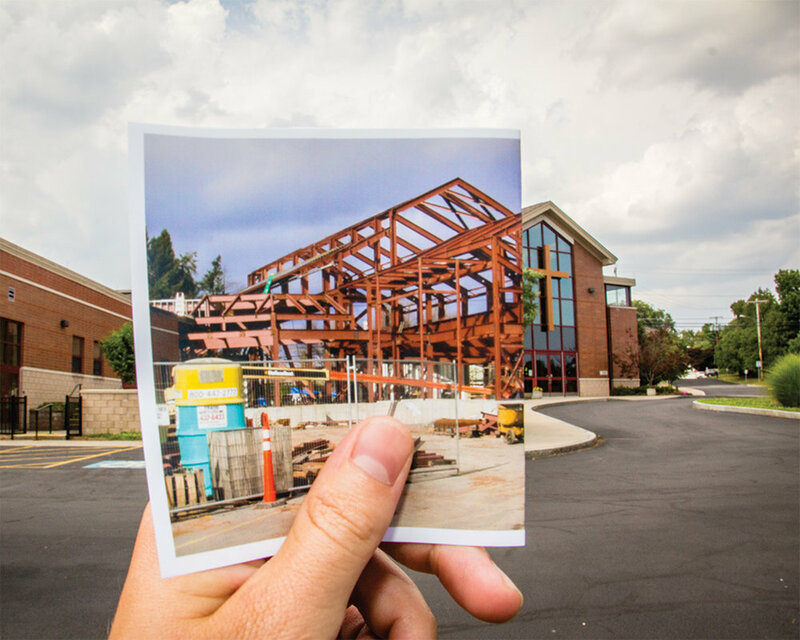 Because of the scarcity of building materials during World War II, ground was not broken until September 11, 1949, and the church was dedicated on April 23, 1950. In November of that year, Reverend Joseph I. Ritchie was named as the first pastor, which he held until his death on March 18, 1964. 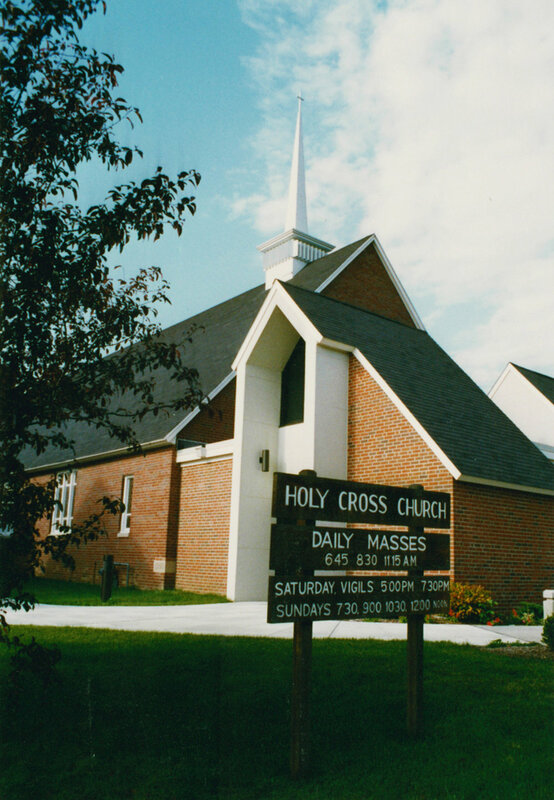 As DeWitt and the surrounding area developed and grew over the years, so too did the community at Holy Cross. 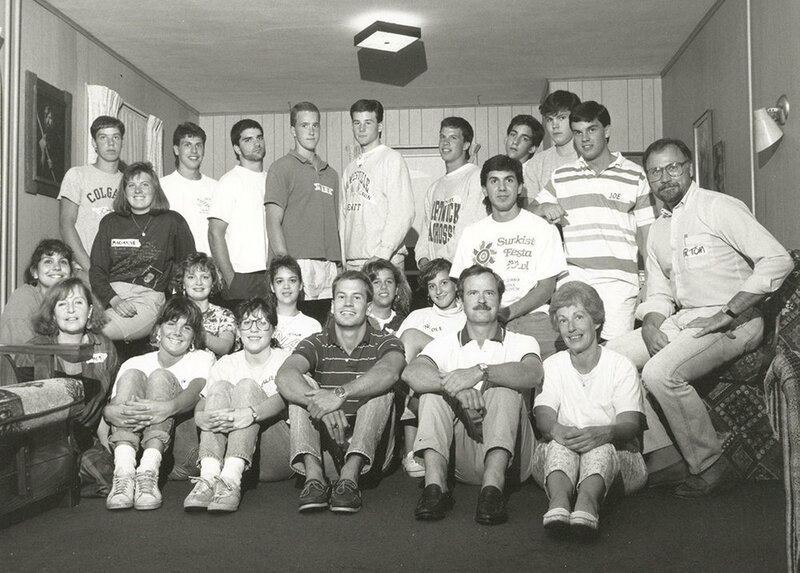 Due to the generosity of this community, Holy Cross saw the expansion and addition of land, buildings, and staff. Construction of a rectory was finished in March of 1951. A convent was added in 1957. And Holy Cross School opened its doors to students in September of 1958. 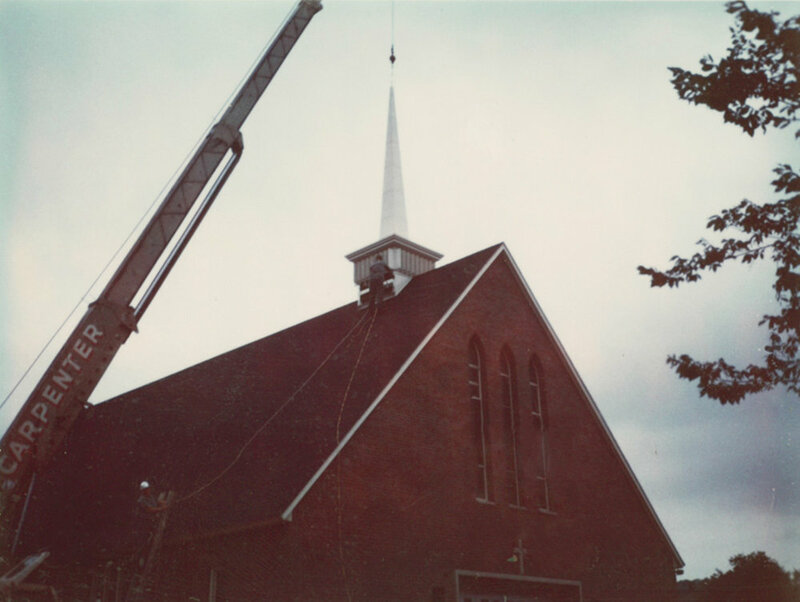 Because of continued growth in the area, a new church building was needed to accommodate the people and activities of Holy Cross. 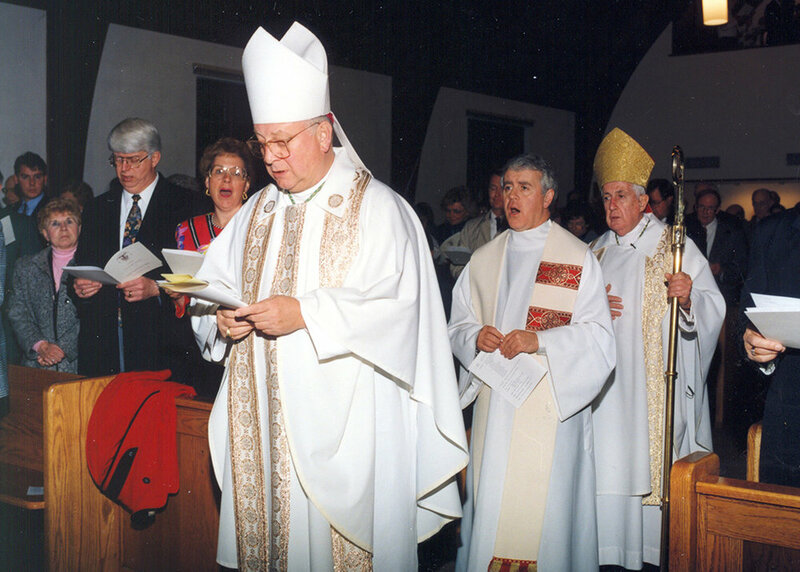 In 2002, then pastor of the parish, Msgr. J. Robert Yeazel and the Parish Council voted unanimously to build a new church. On September 14, 2006, that church was dedicated at the Feast of Holy Cross. Holy Cross Church is dedicated on September 14, 2006 at the Feast of the Holy Cross. Today, Holy Cross continues its tradition of being a caring community devoted to the needs of our families, neighbors, and society. We value our faith and the food God gives us for the journey. We are committed to our families and youth, to providing a safe environment to form their faith. We build our lives in the image of Christ through worship and prayer. We promote service and outreach to our parishioners in need and to those on the margins. We share our faith with others to spread the Gospel. To be faithful stewards of Holy Cross, we are accountable to God for responsibly sharing our time, talents and treasures. We work as a parish to establish and implement our goals and objectives, mindful of our diverse community and ever-changing needs.